Exhibitors at ISEC2011 360 Vision Technology Access Control Technology (ACT) Access Security Products ADPRO by Xtralis A.I.R.M. Alarm Control 24 Alarm Master Software Anixter Beacon Communications Beltronics Bosch Security Systems CAME Automation Supplies Card Logic Cashin Telecommunications CBC (Europe) Ltd. CSL Dualcom Ltd. DFB Security Expert Security EZ Management Fastcom IP Watch Genie CCTV Ltd. Global Security Devices GVD Ltd. HKC Ltd. Irish Security Distributors Lock-iT Security & Hardware MCM Security Group Mercury Software Ltd. National Automation Ltd. NetHomeSecurity Netwatch Northwood Technology Ltd. N.S.A.I. So what is an Insurance Surveyor? The Confederation of European Security Services - CoESS founded in 1989 is the European umbrella organisation for national private security associations. The industry in Ireland has been actively involved in CoESS for over fifteen years. What is the role of CoESS and how can the Irish Security Industry benefit from its continued participation in Europe? Technology continues to advance, can operators within the sector keep up. Is it all good for the customer and the broader industry? The Private Security Authority in Ireland has been active in licensing for over five years. What is the current attitude to the effectiveness and benefits of licensing in Ireland? legislation, monitoring and enforcing and best practice. are proud to be associated with. spectrums of the security industry. Wireless fire protection for Castletown House Castletown is Ireland’s largest and earliest Palladian style house. Built between 1722 and 1729 for William Conolly, Speaker of the Irish House of Commons and the wealthiest commoner in Ireland In 1994 the house with the exception of the contents, was transferred to State care and it is now managed by the Office of Public Works. The transfer to State ownership has paved the way for a major programme of restoration and conservation work of the house and demesne lands. Through restoration, conservation, acquisition of parkland and development of visitor facilities, the long term objective is to preserve for future generations one of the most important houses in Ireland and one of significance in terms of European architectural heritage. At present the system covers the main house and west wing and over the next two months will be extended to cover the east wing and farm yard area. Upon completion of the works, a network of six wireless fire panels and 370 wireless devices will be installed, including smoke and heat detectors, sounder strobes and call points. In addition, a series of wireles input/ output units allow seamless intergration between the fire panels and plant and equipment, without the need for costly and unsightly fire rated cabling. As part of ongoing refurbishment works, an EMS wireless fire detection and alarm system has been installed by Siemens Ltd., working in conjunction with local distributor Vision Radio Fire. EMS wireless solutions offer speed of installation, flexibility during phased refurbishment, and significent cost savings over the full term of the project. In addition, the need for temporary fire protection in vacant areas of the building can be speedily addressed, and reused as part of the permanent system at a later date. proposition for Panasonic to work with”. Noel McStay, Commercial Director for REW said, “The appointment of REW as a distributor for Panasonic is an exciting addition for our company. Since we established in 1977 we have expanded our core business to include security systems. An iconic brand such as Panasonic will assist us in strengthening our presence in security across the industry”. £4.4million for secure technologies centre Northern Ireland’s Enterprise Minister Arlene Foster recently announced £4.4million of support for the Queen’s University Centre for Secure Information Technologies (CSIT) CSIT is the UK’s lead university research centre for the development of technology to counter malicious cyber attacks. The centre is based at Queen’s Institute of Electronics, Communications and Information Technology (ECIT) in the Northern Ireland Science Park. Pictured with Enterprise Minister Arlene Foster making the announcement are (L-R) Professor John V McCanny, Director of ECIT, Professor James McElnay, Pro Vice Chancellor, Queens and Dr. Godfrey Gaston, CSIT Director. system to meet all of the requests of the university. The advanced system design incorporates wireless XS4 E9451U85IM48W RF electronic mortise locks as well as standard E9450U00IM48 units, together with wireless gateways and repeaters, standard CU50ENSVN units, WRM9001 wall readers and WRM9001E wall readers. of Samsungâ&#x20AC;&#x2122;s Smart Codec allows you to highlight critical areas within a scene which can then be transmitted at a higher frame rate than the rest. When coupled with high level H.264 compression and the option to simultaneously stream a variety of resolutions, including Full HD (16:9 format) and up to 3MP (4:3 format) images, the user is put firmly in control of how images are managed. improve image quality and reduce bandwidth and recording space requirements. Offering seamless integration with Samsungâ&#x20AC;&#x2122;s range of standalone network video recorders, NET-i recording software and license-free NET-i viewing software, the SNB-7000 is also fully ONVIF compliant and compatible with a host of leading third-party video management platforms. with the best service available is essential for the success of our business. Over the pass 19 years we have built our reputation on supplying and installing only very latest, high quality and reliably equipment on the market today, backed up with our 24 Hour customer support service. Being awarded the EN50132 CCTV Certification by the NSAI only goes to prove our full commitment to provide high standards and also give our clients additional confidence in our services” says Alan Beattie, Director. Security & Fire Ltd, Alan Beattie (Right) their EN50132 -7 CCTV About Us Certificate Offering a professional and affordable security installation Lighting, Personal & Medical Alarms & Gate service, specialising in CCTV, Automation System. Intruder Alarms and various other Security Systems to the domestic & commercial market. Another piece has been added to the National Automation Jigsaw! Established in December 1999, Global Fire Equipment has grown from small beginnings into a major supplier of Fire Detection Systems. In addition to supplying the Global Fire Equipment range, National Automation also supply other major fire manufacturers products, including C-Tec, Detector Testers, Cranford Controls, The Fire Beam Company, Klaxon Signals, Hochiki, Apollo, KAC, etc. Their product range caters for all requirements including conventional & addressable systems, control panels & PSU’s, devices & ancillaries and custom build special products. The wireless access control system covers more than 300 doors across the campus, on 100 buildings across 243 acres. According to Gerry Nolan, security manager with NUI Galway, the project carried a considerable scale, since buildings vary in size from a shed to a science block and from houses to entire labs. What’s more, the campus is still expanding; a new engineering block has just been completed and another five buildings are currently being built. “The GSD wireless access control system is very high on spec and it means installation doesn’t disrupt the running of the university. There’s no drilling or cables to be installed so there’s far less of an impact,” explains Nolan. The largest building on the campus, the science block, has already been fitted with the GSD system. “Nobody even knew it was going on,” Nolan says. DESFire campus card and worked closely with NUIG Information Solutions and Services to deliver the project. Said to be the first of its kind in Ireland, the campus smart card is being issued to around 18,500 students and 2,500 staff. According to Brendan O’Looney, project manager with NUIG’s ISS team, it’s planned that the card will have a range of applications such as cashless payments for university facilities, time & attendance and printing access. Access control features for the campus buildings will be integrated onto the existing campus card, removing the need for people to carry around multiple cards for different requirements. “GSD have been fantastic to deal with and its wireless access control technology is a fantastic system in terms of the flexibility it has. I’m delighted to see an Irish company at the forefront of this technology,” says O’Looney. “They have been very supportive and worked with our integration partner EMOS to deliver the solution. We have nothing but positive comments to make about the integration.” Surewatch CCTV, the Galway based specialist in digital security systems, carried out the installation for NUI Galway. Surewatch is a certified installer of Global Security Devices products and it purchased the equipment from National Automation Ltd., an authorised distribution partner of GSD. summary on demand – all without exiting Smart Client interface. evidence discovery. Using Video Synopsis, a day of surveillance camera footage can be summarized into a video clip as short as one minute, leading to a significant reduction in the effort and expense required to review stored video. Ireland’s Largest Wireless Fire Detection System The largest wireless fire detection system in Ireland has been installed to protect the James Joyce Library building in the UCD Belfield complex in Dublin One of the largest library buildings in Ireland, it supports the learning, teaching and research needs of some 24,000 students and academic staff. Meeting the library’s highly complex set of fire protection and evacuation requirements was the responsibility of DML Fire Systems Ltd. who were responsible for the installation, and commissioning of the system during the 4 week fit out program. Book area, and there are over 1500 wireless devices, including smoke detectors, heat detectors, break glass units, input/ output units and sounder strobes. EMS wire free solutions are suitable for use in buildings of any size or construction, and offer numerous advantages including, speed of installation, lack of disruption, and minimising damage to the fabric of the property. With more companies investing in security systems, it makes sense to step back and think about an integrated approach that combines access control systems, intruder alarms and CCTV. a series of inputs and outputs. problem of having to deal with three different equipment vendors. Integrated systems have the intelligence to disarm the intruder alarm system only for the areas where the person entering has been granted access. powerful but also more cost-effective. one not only reduces the chances of crime but can assist law enforcement if a break-in does occur. GSD’s system provides the benefits of a seamless integration without the headaches associated with achieving the desired results. the offender can be presented. so manually, and the risk of the possible consequences by forgetting. leaving the rest of the premises protected against unwanted intruders. and proper person to provide a security service. whose licence application had previously been refused in April 2007.
licence from Strebor Security Limited. what is meant by “a fit and proper person”. legal arguments, the High Court upheld the decision of the Appeal Board. being prepared and we expect to see these cases before the courts in the near future. €7,400 in costs. Prosecutions against other contractors will be before the courts over the coming months. under the fit and proper section of the Act. Our aim is to ensure that only those compliant with all statutory requirements of business are licensed. Do you know the risk from employee theft? Do you have an effective strategy to reduce the opportunity for theft and are you aware as to what you should be looking for? Each business will have different risks, depending on the nature of the operation, cash flow, whether a stock or services supplier, number of employees etc. So, if asked for the top 3 Business risks there will be variations but what would be your top 3 business risks? Expect fire and flood risk being high on the list, but would you include employee theft as high risk? Recent research conducted by DFB Security, identified that only 7% of businesses would include employee theft as a top 3 risk, but 35% would include external theft in the top 3. In the retail sector, it is estimated that 45% of loss is due to shoplifting, 35% employee theft and rest made up of supplier/vendor and operational failings (Retail Excellence Ireland, 2008). To come to an exact figure on level of employee theft is not easy to determine, as theft could be happening, but it does not show as a loss, but could show as an overhead or business expense. In some instances losses due to employee theft in all businesses can average anywhere between 35% - 60%. In some cases, losses of up to 80% caused by employee theft or more in businesses have not been uncommon. It is not always possible to place the loss in either bracket as it could be unknown loss such as an employee making it look like external theft. It has been said that 10% of staff will steal, 10% will never steal and 80% could be tempted depending on the opportunity and rewards. It has been said that 10% of staff will steal, 10% will never steal and 80% could be tempted depending on the risk, opportunity and reward. Remember, if you don’t know what the losses are or where they are happening then you won’t know if you have a problem with employee theft, so nothing will be done. Don’t take the risk. Richmond Electrical & Security Distributors open new branch in Ballymount To compliment our existing branch in Finglas we have expanded our business to support our customers both locally and nationally. easy operation and setup procedure without a PC that makes the move to IP CCTV simple and very affordable. Come and see us at stand C15 where we will also demonstrate the latest Panasonic iPro Smart range of IP products. We can advise, design and recommend to your required specification. screening operating on one consolidated network. view of all of these critical T2 systems. Terabyte (TB) Storage Area Network (SAN). process and heightening “passenger flow” efficiency levels. .
impaired, those in the workplace with full hands or even for those who just like to be funky. electro magnet or lock for door access. access by simply pushing on the door. can be individually programmed to grant with a programming unit and software. Fobs can be programmed individually at the reader or door unit for low use. Transmitter buttons on the fobs are optional for remote opening. Comparing H.264 and MJPEG Bandwidth Usage over Security Networks As more video surveillance manufacturers start to implement H.264 compression technology in their cameras, encoders and digital video recorders, end-users are hoping the technology can decrease the effects of multiple video streams over the network while significantly increasing storage capacity Also known as MPEG-4 Part 10, H.264 is a digital video codec standard finalized in 2003 that promises to compress video data to a very low bit rate while maintaining high-quality video. Today, many video surveillance systems are forced to sacrifice bandwidth and costly network storage. However, if the promise of H.264 is realized, the same resources being used today will be capable of transmitting and storing more video streams with higher frame rates and resolution. Anixter’s Infrastructure Solutions Lab recently conducted several tests to compare the differences in bandwidth consumption between H.264 and MJPEG video streams using a single camera from a manufacturer that supports both compression technologies. patterns. If these patterns consumed a significant portion of the camera’s field of view, they seemed to represent a large area of motion to the camera’s encoding engine and caused the amount of data required to transmit the image to spike. However, these unusual spikes did not reach the level of resources required to transmit and store an equivalent MJPEG stream. Video streams encoded with H.264 compression methods resulted in significantly reduced network storage requirements over MJPEG compressed streams. Even though these tests did not measure the amount of storage required to save these images, there is a direct correlation between the amount of network bandwidth required to transmit the compressed data across the network and the amount of space required to store the data. For IT and security system managers, The Lab recommends using H.264 compression technology to reduce the bandwidth load of network video streams and increase storage space for the same number of video streams. In tests with little or no motion, the H.264 video stream used only 10 percent of an equivalent MJPEG video stream’s bandwidth. In tests with a high degree of motion, the difference in network bandwidth consumption was smaller but still substantial. UTC Fire & Security UTC Fire & Security is a leading provider of fire safety and electronic security solutions that protect people, property, and assets the world over. Its 45,000 employees share a commitment to help create safe and secure environments that allow people to live with certainty. With an extensive portfolio of products and services, including fire detection and suppression; intrusion detection, access control, and video surveillance; and installation, inspection, monitoring, response services, and cash management services, UTC Fire & Security is well-positioned to meet the needs of a broad range of customers. UTC Fire & Security Global Security Products Global Security Products has a broad range of innovative security products that help secure and protect people, information, operations, and assets. In order to understand how megapixel cameras work well at night time it’s probably useful to understand the two main differences between analogue cameras and megapixel cameras in terms of picture quality. The best standard analogue camera is capable of 4CIF resolution which in pixels is 405,504 pixels. An entry level megapixel camera contains 1,310,720 pixels – over 3 times the number of pixels of the 4CIF camera. This means that with more pixels you can cover a larger area – over 3 times the area. And with more pixels in the picture you can zoom in much further in on the point of interest before it pixellates. See our simple table on the other page to see the comparison of resolutions as reflected in pixels. A pixel is the digital standard for measuring picture resolution. We carried out the ultimate test on Megapixel cameras to test them for number plate recognition at both day time and night time. In the pictures below, we have a 3 Megapixel IQeye Sentinel Camera mounted on the apex of a garage approximately 35m from the point of interest at the gate. As you can see the car is captured in the image at the gate, at distance we cannot read the registration plate. However, when we digitally zoom in on the car using Milestone VMS software we can clearly see the registration plate – note there is no blurriness or pixellation of the image. Similarly, we carried out a night time test using the same 3 Megapixel IQeye Sentinel Camera. The footage is taken in a rural area where there is no street lighting or ambient lighting whatsoever. We placed a small IR illuminator underneath the camera. As you can see from the picture below, even with the full headlights on, the registration plate is perfectly readable when we zoom in on the footage. Security installers often use two separate cameras when looking for registration plates and for general surveillance at a gate entrance. As you can see with Megapixel the great advantage is that you can survey the general area and capture the registration plate with superior image quality all in one camera. How to overcome Common Playback issues A lot of CCTV systems work really well on live view recording and give you decent quality live footage. However what happens when you try to play back archived footage? After all isn’t this the feature that most people want? They want to see what happened after the event. Traditional DVRs are mostly programmed to compress archived footage at a lower quality resolution than what they are set for live viewing. This is to save on disk space. Ordinarily, a D1 or 4CIF resolution analogue camera will give you a good quality live image. However try viewing archived footage on most analogue installations and you will find that the recorded footage has been set to 2CIF in order to maximise the length of the archive time and reduce the storage to the DVR hard drive. on the likes of Crimecall where poor video footage rarely led to capturing the bad guy. If you are installing or upgrading a video surveillance system, bear in mind that your clients won’t thank you if they can’t see the registration plate or see the robber’s face on playback of their recorded footage. With commercial crime on the increase – having increased over the past two years with 45% of businesses experiencing crime and carrying an average cost of €2,920 per incident. According to the Small Firms Association - businesses are spending on average €9,277 per company on security measures. For that kind of spend wouldn’t you want to be able to give your customer the best quality footage on playback? the fact that they can command a premium for installing a future proof system with better quality footage for their clients. And for this year? 95.2% of respondents said that they will use more IP cameras & security equipment in 2011. With IP security equipment sales set to achieve 50% of market share by 2014 in Europe, Ireland is well on course to achieve this. Are you IP ready yet? Gordon Smith is Managing Director of GVD | making IP easy Specialist value added distributor of IP technology | www.gvd.ie We welcome your views and any applications you’ve encountered with IP technology. 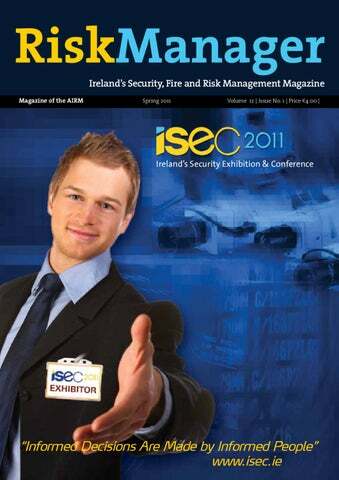 Email your questions and comments to gordon@gvd.ie GVD will be exhibiting at ISEC 2011 To Learn more about IP Technology visit Stand D12. The all-round support Michael provides to customers in Ireland is backed up by CBC’s comprehensive surveillance systems range. This comprises two brands – Ganz electronic surveillance equipment and highquality Computar lenses. The Ganz range covers all types of products required to provide effective CCTV coverage, from fixed, PTZ, optical and thermal cameras, through to DVR and network recording systems, flat-screen monitors, and a whole host of supporting equipment such as infrared and white-light illumination, camera housings, keyboards and power supplies. Computar range helps cameras such as the Ganz C-AllView camera, for instance, to offer up to 36x optical zoom and provide up to 520TVL colour image performance down to 1.4 lux, or 0.01 in mono, at F1.6. The C-AllView range is also a good example of the way CBC’s Ganz equipment can successfully interface with other systems in the range to provide 24/7 site-wide protection. For instance, CBC’s Radar Vision intruder detection solution combines 360° radar detection up to 800m-radius per unit with any C-AllView surveillance camera, providing unrivalled site-wide perimeter protection. Coupled with a C-AllView Dual optical/thermal CCTV camera, Radar Vision can detect/track intruders (persons or vehicles) in all weather or lighting conditions, without the need for artificial lighting. Deploying multiple, integrated technologies in this way provides effective security for sites such as private residences, as well as depots, ports, refineries, airports and power stations. This type of holistic CBC security solution also allows control room staff to work more efficiently, saves money on unnecessary site patrols, and eliminates false alarms. In addition to the Ganz and Computar brands, CBC’s VSII range of analogue and network CCTV products has been developed using the knowledge, expertise and technical know-how of some of the world’s leading surveillance manufacturers. VSII equipment includes analogue cameras, network CCTV systems, H.264 recorders and LCD monitors. rigs, Electrical Sub-stations, Wind farms, Agriculture and Livestock facilities, Telecoms Towers, Fuel depots, and a host of various commercial and residential applications including office/retail property and private houses. David Courtney, Managing Director of ADSI has fully endorsed the Videofied product, “Our clients have long been looking for a low cost, effective, accountable solution which will work without the necessity of fixed broadband and a permanent power supply, in these tough times the Videofied solution has become the ideal solution both from an operational perspective and also benefits from the obvious cost savings involved in the reduced equipment installation and monitoring costs involved”. National Automation Ltd. have recently launched the JCM Radioband System to the Irish Market. Following extensive research JCM Technologies have developed this Wireless Safety Edge System, while still complying with numerous EU Directives on Safety. The system is made up of a wireless transmitter device that is connected to the safety edge and receiver equipment which is wired to the control panel of the gate/door. So what is an anorak? So what is a surveyor? the face of the Insurance Company, often the only contact that the Insured may have with an Insurer unless they have a claim and meet the “LOSS ADJUSTER”. Consequently the Insurer and to an extent the Broker places the Surveyor in a position of trust which is often rewarded by assisting in cementing the relationship between all parties. the client to know that you are from an independent unbiased organisation. Some companies go so far as to produce business cards with their company logo for independent surveyors and once we became the “strategic partner” of an Asian Insurer from whom nothing was ever heard from again. Though the certificate is proudly displayed in the office. So what is the purpose of a survey? The primary purpose is to provide information on a particular client to reduce potential insurance exposures to Underwriters. A property survey includes information such as the combustibility of the premises, passive and active fire protection, the occupancy, the probability of fire inception and spread, security, consequential loss exposures and potential for mitigation, as well as the likelihood and the exposure to a range of wet and dry perils. With regard to liability surveys the information obtained is not dissimilar but would concentrate more on the occupational exposures, the physical and health risks to employees and third parties who may be affected by the activities of the company including their products liability exposures. Once the potential risks are identified and quantified a risk reduction programme is agreed which may range from the installation of lighting above a single step to the installation of a sprinkler system. So what is an underwriter? There are benefits and drawbacks to being “independent”. Every Insurer has an ethos and sometimes trying to extract that ethos is difficult as Underwriters operating within a large organisation, often do not realise that their company has leanings in one or more directions. A prime example is the interpretation of an EML or PML. Many companies operate on the ABI definition which is the “Bible”, however we all know how many versions, variations and interpretations of the Bible there are and the same can be said for interpretations of Estimate Maximum Loss. Some companies strictly adhere to the principal that once there is internal communication the EML is 100%. Others will take into account the location, water supplies, fire brigade and fire fighting capabilities, any compartmentation, fire suppression systems and may arrive at an EML of 20% for the same building. Some organisations are demanding of addressable automatic fire alarm systems connected to central monitoring stations as a basic requirement, others may be more interested in staff training in the use of fire fighting equipment. requirements of an Insurer or a particular Underwriter. As an “Outsider” claims histories are often difficult to obtain and unfortunately this information together with incident / accident records is often one of the best indicators of how an insured is operating. Possibly the biggest difficulty for any Surveyor whether in-house or independent is negotiating requirements with viable companies which are genuinely struggling to survive due to lack of cash flow and / or banking facilities, resulting from the current economic conditions. Some Insurers view sprinkler systems as the ultimate fire protection where as others see a potential burst pipe claim. The Injuries Board announced recently that EL claims were down by 10%, however unemployment rates in the sectors which would traditionally have generated a high number of EL claims are many times greater than the percentage reduction. control exposures will become more important as the recession bites deeper. The sad thing is much of the recession is due to perception and for a population which has listened to doom and gloom for the past two years it is unsurprising that people are holding onto what they have. However if you think it is time to switch off the lights and close the door to Ireland Inc. log onto www.youtube.com/ watch?v=eA6iBKc0O0E and watch Ireland by the Numbers - you’ll see just why Nicolas and Ankela are so scared of us! Finally “if you are what you wear” I think its time I got rid of that brown raincoat! reaction received from visitors to the ACT stand where the focus was on the ACTpro product suite including IP based door controllers and the readers developed with the highly secure MIFARE DESFire EV1 technology. Demonstrations were also given of the recent enhancements to the ACTpro software application including Sitemaps and ACT Web, the exciting Web Based version of the ACTWin software. system for all of their 252 beautifully appointed guestrooms and suites as well as a number of back of house doors and lockers in the relaxation and gym areas using the SALTO XS4 (hotel solution) system. This has been developed with the needs of hotels in mind and features a range of hospitality-specific applications including the ability to remotely reassign/transfer rooms, monitor on-duty personnel, track facility maintenance tasks and manage back of the house doors using the same system. We used a number of XS4 products on the project including E9451U85IM48 escutcheons, CU50ENSVN units, WRM9001 wall readers, CU5000UK control units, E9CDOU85IMA double reader Mifare units, WR9001FS Mullion wall readers, L9080A20RA203 Mifare i-Lockers and EC90ENUK Ethernet encoders.” The XS4 range needs no hard wiring and provides a totally wire free networked electronic locking solution with a great range of features. It incorporates distributed intelligence in both the lock and in the key. Locks are networked to the computer via the hotel’s own front desk management software, yet they need no wiring or WIFI infrastructure. The communication link is the intelligent key, it opens individual rooms and acts as a 2-way data transporter giving the hotel full control at all times while the key cards automatically store and convey information back and forth between locks and the controlling PC. By Michael Fleming Chartered Insurer, BA (Hons) LLB (Hons) ACII General damages are often the subject of great debate between claims personnel and the other stakeholders in an action. They are intended to compensate the plaintiff, not as a punishment or sanction against the defendant. There are a number of factors that are taken into account when considering the level of general damages to be awarded including but not exclusively limited to: • The nature of the injury • The severity of the injury • Duration of the disability and prognosis • Impact of the injury and any continuing disability on the plaintiff • The awareness of the plaintiff of his disability We have become very used to seeing very large personal injuries payouts reported in the press. By today’s standards, damages for personal injuries were relatively modest in the past – for example, in Doherty v Bowaters Irish Wall Board Mills Ltd (1968) the plaintiff ,a paraplegic, was awarded €127,445 of which €43,806 was general damages. In an unreported 2008 case a paraplegic was awarded €4.98m, of which approximately €300,000 are understood to have been general damages. So, like the cost of living and the standard of living, general damages awards in catastrophic personal injuries cases had been largely on an upward trajectory. So the courts have, in effect, remained true to the spirit of Sinnott and its “contemporaneous standards”, allowing for change both up and down in light of the prevailing economic realities. noted that while the Book of Quantum was formulated in 2004, it did not mean that the values therein were out of date, especially at a time when property prices were slipping rapidly and when the economy is in serious challenge. Taking account of the economic circumstances, the values seemed to be a good guide for the level of general damages a defendant could expect to be awarded against them. Furthermore in McDermott v McCormack (2010), the court while noting the Book of Quantum was published in 2004, pointed out that inflation during the intervening time was offset by the continuing economic difficulties. So the courts have, in effect, remained true to the spirit of Sinnott and its “contemporaneous standards”, allowing for change both up and down in light of the prevailing economic realities. As the number of personal injury summons issued spirals towards the number issued prior to the introduction of the Personal Injuries Assessment Board, at the very least the claims practioner has some degree of certainty concerning the attitude of the courts to general damages, in a market facing yet another year of thin premiums. Expert evidence presented to the Court confirmed that the country was presently enduring a period of unprecedented recession, with a significant drop in individual disposable income which was anticipated to last for several years. Those factors were relevant to the measurement of “contemporaneous standards” and current “social conditions” within the country and awards for general damages should reflect economic reality. Early in the last century sociologist Emile Durkheim, expressed the view that crime is not preventable. It would be easy to agree with his functionalist view of crime and deviancy and end this article now. humiliation, torture, maiming, banishment, death and even eternal damnation have failed to prevent its occurrence. The Bible indicates the earliest recorded crime and punishment ...‘and Cain talked with Abel his brother; and it came to pass when they were in the field, that Cain rose up against Abel his brother, and slew him’ ...‘and the Lord set a mark upon Cain, lest any finding him should kill him’ (Bible KJV, 2007:5). Today we talk in slightly less biblical terms but still have very strong expectations of solutions. Current primary or physical crime prevention, which is the most common methodology, relies on making the environment unsuitable to crime commission. It uses access control, target hardening, territorial definition, natural surveillance, image and safe environment. It attempts to project the premise’s positive personality in an attempt to lower levels of potential opportunity and benefits to a criminal by raising real or perceived possibilities of detection and apprehension. But does this prevent crime or does it do something different like deflect it? For successful crime prevention programmes to really exist and be effective, society must allow its guardians the means of prevention and understand the consequences. If we have such belief in crime prevention methodologies then why do we as a society hedge our bets committing trillions of Euro each year to the insurance industry? If as Durkheim suggested crime is not preventable then we must question our expectations of modern concepts and practices within primary, secondary and tertiary crime prevention. These function on the societal belief that a safe zone should exist to ensure crime risk can be prevented within personal and organisational spaces. This expectation can result in preventive measures being intrusive, causing a greater loss of a ‘sense of wellbeing’ than the crime. But if we continue to attempt to isolate crime commission, how does this affect our responses. Have we an over reliance on the ‘ordinariness’ of crime and can we afford to have our responses based on this reliance? Should we embrace crime and commit to a multi layered preventive approach? For successful crime prevention programmes to really exist and be effective, society must allow its guardians the means of prevention and understand the consequences. Yet as a society we have unspoken acceptable levels of crime. It is only when those crimes become unacceptable through violence and/or volume that we demand crime prevention programmes to challenge the perpetrators. We fail to accept our responsibilities as crime pollution causers through our actions or production of desirable products. But if stolen we leave the end user, insurer or society to pay for the crime. This facilitation of crime requires as part of prevention methods that the crime polluter should pay through penalties and even prison. In responding governments, organisations and individuals at local and national levels allow themselves to become paralysed from taking action. This can be through fear of industrial action in business, retaliation in private areas and overly controlling or repressive state especially involving minority groups. Ideally prevention and subsequent methods to achieve it would be viewed the same in governmental, business and private sectors. deflect specific crime but not prevent them. This therefore draws us back to the original question, is crime preventable? Are there other methods? Additional methods, such as secondary or social crime prevention programmes, are used by governmental projects to reduce crime. Many engage local communities, police and security companies in a partnership model with other external agencies on an equal footing. Their purpose is to improve living environments, employment, social activities, education and recreational activities and the overall fabric of the locality. Such community partnership programmes may include restorative justice, community initiatives, community policing and sentencing. If established through consultation and effectively run with mutual respect and defined service level agreements they may succeed where other systems failed. Anecdotal evidence suggests these initiatives may work best by providing crime prevention services through private public partnership models, especially relating to public financing issues. They may however have differing levels of value in areas being reviewed. Primary and secondary prevention can be connected to tertiary or judicial preventive methods which is mainly legislative enforcement, detention and potentially incarceration. This exists to stop criminal behaviour where other methods failed. The main problems with these initiates from a crime prevention perspective are a lack of committed will, lack of financial commitment and inconsistency in deliverables. The question still remains, is crime preventable? Would other initiatives help prevent crime? Perhaps the use of collated and targeted strategic intelligence, gathered both locally and nationally, to direct limited resources. This requires trust levels between community and state agencies, which at present are not fully there. One area mentioned is sub cultural (gang) initiatives which aim to ‘reform’ gang culture by provision of leisure facilities and legitimate opportunities, particularly jobs. The problem I would suggest is that security and policing organisations must also apply this sub cultural theory to their guardianship of protected groups, products or areas. This applies to development of linear primary methodologies in formulating crime prevention plans. This requires major change in understanding crime, offenders and calculable values of their selected crime prevention methods developed in opposition to crime. When viewed against the ‘precautionary principle’ which is often used as the sole means of structuring a prevention programme, a need exists to reform our ‘gang culture’ to change our expectations of prevention programmes. In exploring the question of crime and its preventability, I would say that crime has always existed and will always exist. Taken in its entirety, even with threats of draconian punishments, it is not preventable. I do however believe that crime is very much deflectable. We, as practitioners in the security and risk management discipline, must seek to expand our knowledge of our discipline to deflect those crimes. We must embrace new and innovative ways of using academic theories in realistic ways with operational practice, to deliver crime free and safer environments to communities, private sectors and public agencies. We must alter our existing mind scripts to acknowledge that ‘we don’t know what we don’t know’ and fill those gaps with new learning. We as capable guardians must devise new initiatives to counter crime and its many consequences. Only then will it be possible to alter society’s often unrealistic expectations of crime prevention methodologies in providing safe defensible spaces with limited crime intrusion. to release the Orion range of Conventional control panels with New Vista ProtosV VPC5-650DN and VPC52, 4 and 8 Zones of Detection. 654DN Intelligent Cameras Housed in a stylish modern Complementing the existing range of Vista ProtosVcameras, ABS housing, the Orion is the the new Vista ProtosV VPC5-650DN (240V) and VPC5-654DN ideal control panel for smaller (12/24V) Intelligent Day / Night Cameras offer all the indusinstallations try recognized features seen in the current ProtosV range, alongside a host of additional benefits. Comelit New ICOM Panels National Automation Ltd. is proud to introduce the new range of Entrance Panels from Comelit. An integration of an excellent ruggedised PTZ camera and world class H.264 compression delivers a milestone in the evolution of IP video. The very successful GANZ range of C-AllView cameras have gone IP. The IP C-AllView is conceived and designed to be used with GANZ’s end to end IP video and alarm management solution VSoIP. The IP C-AllView boasts onboard video analytics including Intelligent PTZ tracking, electronic image stabilisation, camera tamper/hooded detection, intrusion detection, directional filters, left/theft object, loitering, lane and parking violations and many such advanced algorithms. Although developed in response to demand from retailers who require a reliable tool for monitoring footfall for marketing, merchandising and security purposes, the SND-3080C network dome is likely to be of interest to a wide range of other market sectors including transportation, libraries, museums, car parks, sporting venues and leisure facilities. In today’s economic climate, companies of all sizes are examining every outlay of finances to determine how they can get the most benefit for the least amount of expense in all aspects of their business. a period of one to three days, which is typically the length of most exhibits. While exhibiting at conferences or trade shows, business owners and key employees also have the chance to personally interact with already established clients and suppliers, which is an excellent way to reinforce relationships or build new ones. The Trim-Tronic electronic handle has been available for a number of years, but can still be considered as a “new product” to many people Access control is required on numerous fire escape / emergency exit doors. To date it has been common practice to install magnets on these types of doors. However, magnets have not been tested in such applications and do not comply with either EN179 or EN1125, which are the relevant European standards. Panasonic’s H.264 video compression capable HD Dome camera provides intuitive function and dehumidification within a weatherproof, protective chassis. Legal update on bullying, harassment & stress in the workplace Maura Connolly, Head of Employment and Employee Benefit Group, Eugene F. Collins, Solicitors opened our 2011 seminar schedule, providing attendees with a legal update on bullying, harassment and stress in the workplace. Since the enactment of the Health Safety and Welfare At Work Act 2005, which made specific reference to these psychosocial risks, employers and stakeholders have come under increasing pressure to put in place the necessary policies and procedures for managing these risks. Citing legislation, explaining the judicial process and discussing settled court cases, our guest speaker gave a practical insight into how that task may be approached. Maura also outlined the various options are available to employers to determine their duties, such; to resolving or escalating complaints through mediation for example. The presenters on the day were Stephen Heffernan, SERIMA1 who dealt with Policies, procedures and some case studies and Michael McGuirk of RSP Radio and Security Products, who demonstrated a number of the products on the market for Lone worker protection. Both presenters offer tailored solutions to the risk. The following were a number of the points of interest which came out of the presentation. • The H&S Act 2005 does not specifically Michael McGuirk , Geraldine Dempsey and Stephen Heffernan say it is against the law to have lone workers. There is some legislation relating to explosives, commercial diving, transport, and haulage for example where lone working is not allowed. • “Lone working” can mean workers who work remotely from other workers. That is to say, other workers might be employed in a complex, fairground, warehouse, research establishment, but remotely from others. • A general “rule of thumb” or guideline Peter O’Toole and John Hamilton is if a worker cannot be seen or monitored by others every 15 minutes, then certain precautions must be taken to safeguard their safety and security and indeed the safety of others. • The range of lone workers and lone worker occupations is large and varied. It includes, postal services, security , retail, home workers, petrol stations, surveyors, crane drivers, farming, estate agents, cleaning staff, some teaching staff, maintenance or repair staff, local authority warden services, utility servicing and inspection staff, pest control operatives, hospital staff, rent collectors, lift repair district nurses, to name a cross section but there are many more. • Where possible a qualified person should conduct the survey. Sometimes the obvious can be missed; an example of this could be a retail establishment with 2 employees which operates on a 8am to 6pm basis. One worker comes in an hour early to do some admin work, merchandising and open the premises, and another worker stays an hour late to tidy up and cash up. When we take into account lunch times there is typically 4 hours per day where a “lone worker situation exists. • As an employer you are also obliged to inform contractors working on your site of any issues regarding safety and lone worker safety and security also. • Communications and other hardware are available for lone worker safety. Whatever system is being deployed make sure it actually works and particularly outside normal working times. Do not take it for granted that a GSM or Radio signalling device will work in every area of your site or wherever the lone worker may have to travel to. A thorough survey should be conducted before any device is put in place. • Consider in the risk assessment if the employee has a health condition which under normal circumstance would not be an issue but could be an issue in a “lone worker” situation. • Ensure all policies and procedures regarding “lone workers are adequate to deal with the risk, training is provided where necessary, and the situation is reviewed and monitored on a regular basis. • In the event of an incident then an incident report should be filled out and acted upon as soon as possible. • It does not necessarily mean that you have to put in place expensive hardware or procedures to deal with the risk, and it is certainly not prudent to ignore it. • Much of the onus of protection falls on the employer, however the workers themselves do carry some of the responsibility for their own safety. • Litigation costs may be extremely inconvenient, give bad publicity, reduce staff morale and can be very costly in terms of administration time and finances. from Genie Access is the first unique “all-in-one” individual patented dual chip biometric proximity device for positive identification. The biometric chip is activated once a fingerprint is registered via its touch and swipe facility. RWL are pleased to announce that Excel have recently redesigned their twin Cat5e UTP boxes. Two 305m boxes are supplied in a strong outer carton, clearly marked for on site identification. The outer carton provides protection for both the cable and inner packaging, and allows for easy storage, stacking and movement of goods. When installing simply remove the perforated letter carton strip from the box front and pull two cables as normal from the box. Where necessary the outer carton can be discarded and the inner standard 305m reelex boxes can be utilised. Appointments & Recruitments Panasonic Strengthen Irish Security Solutions Team with Appointment of John Phelan PSNE have announced the appointment of John Phelan as Panasonic Ireland Area Sales Manager. An 11 year history in Security Installation management coupled with industry driven determination and comprehensive security qualifications, makes John the ideal candidate for the business development of the security group within dealerships, specifiers, end users and installers. Samsung appoint Paul Taylor as Access Control Business Development Manager for UK and Ireland Paul, whose career in the electronic security industry spans eighteen years, has for the last two and a half years worked for ACT where he was Sales Manager. He has previously performed sales roles within the access control divisions of Siemens Security Products and Gardiner Security. Evolving from an education in Business Management and IT, John moved into the security distribution business with Liam Phelan in 1999. Subsequent years in the ever growing Phelan Security provided John with huge experience working with major manufacturers, including Panasonic, and across all areas of the security industry. Reporting to Simon Shawley, General Manager UK & Ireland for Samsung Techwin Europe Ltd., Paul will be responsible for developing relationships with consultants, installers, system integrators and distributors in order to identify new sales opportunities for Samsung’s Access Control product range. Recognising that the market for IP was growing, John decided to embark on a series of educational programmes with the aim of developing expertise in all areas of IP and networking; Gaining Cisco’s CCNA and Comptia’s Network Plus qualifications. Commenting on Paul’s appointment, Simon Shawley said: “The introduction of our Access Control product range is an important part of our strategy to become a full security solutions provider. Paul’s immense knowledge of the access control marketplace will therefore be extremely valuable to us”. New Director Denis F. Higgins BE, MIE, Eur Ing, CEng, FIEI Chartered Engineer Denis has recently been appointed to the Board of RECI. He is originally from Cork and his experience in the Electrical Industry includes 36 years service in the ESB. In recent years he has undertaken Consultancy assignments for the Commission for Energy Regulation (CER) providing Technical Advice in the setting up of the Regulatory Regime. He is a Fellow of the Institution of Engineers of Ireland and serves on the Ethics & Disciplinary Committee and on the Board of Examiners. Lower Costs Should Facilitate Lower Insurance Premiums For Consumers And Businesses • Compensation awards down €30m since 2008 • Workplace accident claims down 10% • Injuries Board fees to reduce by up to 20% (up to €2m annually) • No surge in claims following adverse weather Significant cost savings are emerging for insurance providers in respect of personal injury claims and these savings should translate to lower insurance premiums for consumers and businesses, according to Injuries Board CEO, Patricia Byron. Preliminary year-end data from InjuriesBoard.ie shows that compensation totalling €187 million was awarded in 2010 in respect of 8,381 personal injury claimants. The numbers show a €30m (13.8%) reduction in the value of Awards since 2008 despite claims volumes increasing to 26,964 (9%) over the same period. reduce its fees to respondents by €200 (19%) and to claimants by €5 (10%), should have a positive impact on insurance premiums for consumers. Commenting, Patricia Byron, CEO, Injuries Board.ie said: “Our aim is to fully compensate accident victims but to reduce processing costs. This should mean savings of up to €205 per claim for insurers in 2011. This is in addition to existing annual savings of up to €100m arising from the Board’s non-adversarial model. We believe it is incumbent on insurers to pass on these benefits to hard pressed consumers and businesses rather than constantly flagging reasons why premiums should increase. The trends reflect a change in the composition of claims and in particular a 10% reduction in the volume of higher value, employer liability claims in 2010. Claims across motor and public liability (typically of lower value) increased by 6% and 8% in the same period. 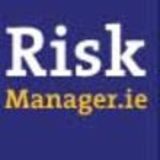 These increases have been more than offset by the decline in workplace claims, reducing the average 2010 award by 4% to €22,271. “Another factor facilitating lower insurance premiums is a reduction in the number of workplace accident claims coming to the Board, not least due to lower employment in the economy, especially in sectors like construction and manufacturing. In addition, despite severe weather conditions in the first half of January 2010 we have not seen a surge of public liability claims, as some had predicted. In fact our data indicates that there were fewer public liability claims in January 2010 than in January 2009” Ms Byron said. O’Brien case, with the Taxing Master dramatically reducing the legal costs sought against the Board. In October and November 2010 the High Court dismissed twenty one other Judicial Reviews against the Injuries Board. In all twenty one cases, the claimants had accepted the Board’s award for damages but had challenged its refusal to allow all the legal costs claimed by their solicitor. “The clarification provided by the conclusion of these cases highlights the benefits for claimants of applying directly to the Board. By doing so, claimants can save significant legal fees, often in the region of €2,000, but sometimes as high as €5,000” Ms Byron said. Operational Summary 2010: Nearly three quarters of awards (74%) were for injuries from road traffic accidents while the remainder were split between workplace (11%) and public place (15%) accidents. Counties Longford and Limerick accounted for the largest number of awards as a proportion of population. County Kilkenny had the lowest number of awards per head of population. The lowest and highest awards in 2010 were €500 and €387,286 respectively. The preliminary data indicates that almost two thirds of all awards (63%) made by the Board are for less than €20,000. Injuries Board.ie is self funded through a fee on those who are responsible for injuries arising from motor, workplace and public liability accidents, as well as a modest charge to claimants. ...Or are you responsible for the Security of your business? (All levels of golfing ability) For further information check out our web site www.sfigs. ie or contact Hon. Secretary – John Carroll at johncarroll@ screensecurity.ie or any member of the committee. Captain Vice Captain Hon. Treasurer	President Handicap Sec. Committee Mem.